This Weekend’s PC Game Deals is where the hottest gaming deals are amassed into an easy to follow format, in one place, from all over the internet. So kick back, relax and hold on to your wallets. Although this bundle is named the Humble Saints Row Bundle, it may be more appropriate to call it a Deep Silver bundle, considering how many games by the publisher is present in it. The Bundle’s $1 tier, although light on Saints Row games, gives you Risen 3: Titan Lords Complete Edition, Deadlight: Director’s Cut, Homefront, and Saints Row 2. Next, the ‘pay more than the average’ tier, currently standing at $5.58, gives you Saints Row: The Third, Saints Row: Gat Out of Hell, Mighty No. 9, and Killer is Dead – Nightmare Edition, with even more games being added in a couple of days. 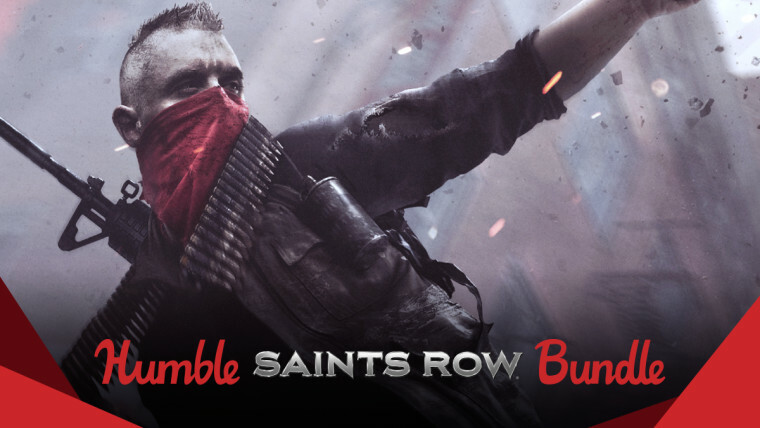 The $15 tier gives access to Homefront: The Revolution Standard Edition, Saints Row IV: Game of the Century Edition, Saints Row: The Third – The Full Package, and Saint’s Row: Gat Out of Hell – Devil’s Workshop Pack DLC. Note that Saints Row: The Third – The Full Package version replaces the previous tier’s Saints Row: The Third, meaning you do not get an extra copy of the game. Lastly, we have a $75 tier, if you could even call it that, which is simply a pre-order for Volition’s upcoming game, Agents of Mayhem. However, before picking up this tier, we recommend looking at the Pre-order Madness section below for a better deal on this game. Next, we have the Humble Telltale Games Bundle returning from last week, which has now grown substantially with the addition of even more games by the developer during the past week. 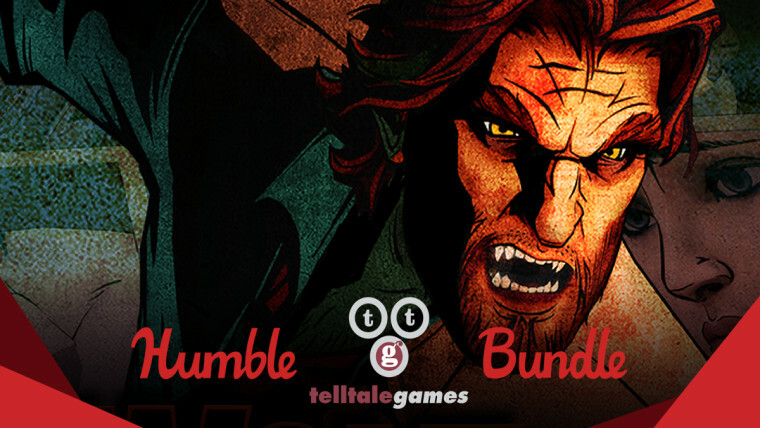 The bundle is a great opportunity to stock up on Telltale titles, as the developer recently announced plans for a number of sequels to its previous series. The $1 tier nets you the highly praised first season of The Walking Dead, Poker Night at the Inventory, Telltale Texas Hold’em, Hector: Badge of Carnage, along with two seasons of Sam & Max, Puzzle Agent 1 and 2, as well as two episodes of Bone. Bumping up to the second tier, which currently stands at $9.40, you receive a number of highly acclaimed Telltale series, including The Walking Dead – Season two, The Walking Dead: Michonne, Game of Thrones, a 50% off coupon for The Walking Dead: A New Frontier, as well as the fan-favorite Tales from the Borderlands. Following the incursion of five new fantastic games, this tier now also offers Jurassic Park: The Game, The Walking Dead: 400 Days, Poker Night 2, Sam & Max: Devil’s Playhouse, as well as another fan-favorite, The Wolf Among Us. Finally, deciding to fork over $15 gives you copies of Batman – The Telltale Series, Minecraft: Story Mode, as well as the Minecraft: Story Mode – Adventure Pass. Be sure to check out the Batman – The Telltale Series review by Neowin’s Usama Jawad if you’re undecided on the game, and if you’re a fan of Minecraft: Story Mode series, take a look at his review of the second season’s first episode as well. 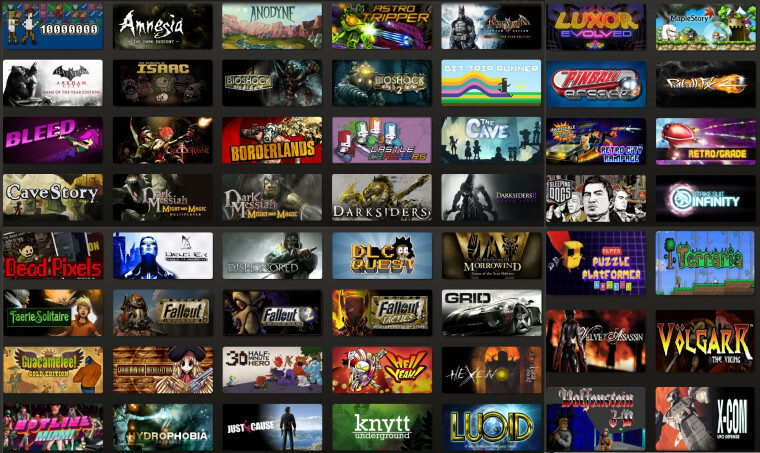 As with all things available in the Humble Store, these bundles also give away a portion of their proceeds to charity, a great excuse to get some fantastic games while helping out a good cause. In addition to offering Medal of Honor: Pacific Assault for free like it has been doing for some weeks now, Origin’s On the House promotion now includes another free title in its reign, and this time it’s an expansion. 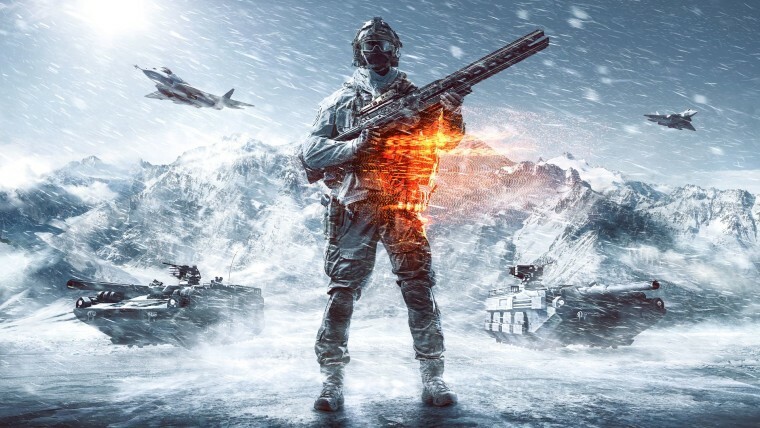 You can now grab Battlefield 4’s Final Stand expansion completely for free, a deal you might not want to miss out on if you already own the base game, but lack its premium pass. All you need to grab both of these freebies is just an Origin account. If you’re interested in even more shooters to keep you busy over the weekend, there are a number of popular games having free events this weekend which we have picked out below, so keep on reading. Before we dive into our list of hand picked deals for the weekend, let’s take a look at some games that you can try out for free. This is a good weekend for fast-paced shooter fans, as Call of Duty: Infinite Warfare is having a free weekend on Steam, with full access to the game’s multiplayer. Cliff Bleszinski’s upcoming game LawBreakers is also having its last open beta this weekend, inviting all players to come and get some frags. Adding to that, EA is hosting a free weekend for Respawn Entertainment’s wall-running, mech-battling shooter, Titanfall 2, on Origin. This free trial gives access to the game’s exceptional multiplayer as well as two single-player missions, also something to keep in mind is that the game recently received a four player co-op mode in a free update. While Bioware’s latest Mass Effect entry may be going through some tough times in regards to its future development, Mass Effect Andromeda is at a much better place than it was at launch thanks to a number of free updates. For anyone who’s interested in taking the game out for a spin, EA is offering a ten-hour free trial on Origin, which includes the single-player campaign’s first planet as well as unrestricted access to its cooperative multiplayer mode. Pre-ordering games may be frowned upon by many these days, but it doesn’t hurt looking at some great pre-order discounts. The post-E3 gaming world is choke full of dazzling games to order before they release, so here is a selection of deals we picked for the occasion. Agents of Mayhem – $44.46 on GamesPlanet: Another open world game from Volition, developer of the massively popular Saints Row franchise. The game is also set in the Saints Row universe, but instead of the usual humorous, shenanigan filled campaigns from the original series, this game gives players access to a range of Super Agents that are tasked with taking down the evil organization Legion and its leader, Morningstar, with whatever means necessary. Dishonored: Death of the Outsider – $23.59 on GameBillet: Announced at E3 last month, the title serves as a stand-alone expansion to Dishonored 2. As evident by its name, Death of the Outsider will revolve around the legendary assassins Billie Lurk and her mentor Daud in their seemingly impossible mission to assassinate the god-like Outsider. Lego Marvel Super Heroes 2 – 26.99 on GameBillet: The sequel to 2013’s popular Lego Marvel Super Heroes, this time arrives with a whole host of new heroes and villains from the Marvel universe. The game has players pitted up against a villain that can travel across space and time this time around, meaning there will be plenty of iconic heroes from various eras and alternate universes appearing in the game. With the beginning of the weekend comes a wide variety of sales from various PC game stores, and below, we have handpicked a selection of games that are near or below their historical discount rates. Be quick, however, as some of them won’t be available at these rates past this weekend. Now, with all those pesky DRM filled games out of the way, let’s take look at some DRM-free deals that are available. And that is it for our pick of this weekend’s PC game deals folks, and hopefully, some of you have enough self-restraint to not break the bank adding games to your ever growing backlogs. Of course, there is a gargantuan amount of other deals available all over the interwebs if you search hard enough, so keep your eyes open for those as well. Don’t forget to follow us @NeowinGaming on Twitter to keep up to date with our gaming coverage!